The burritos come in two varieties: Chicken Enchilada and Three Cheese Nacho. 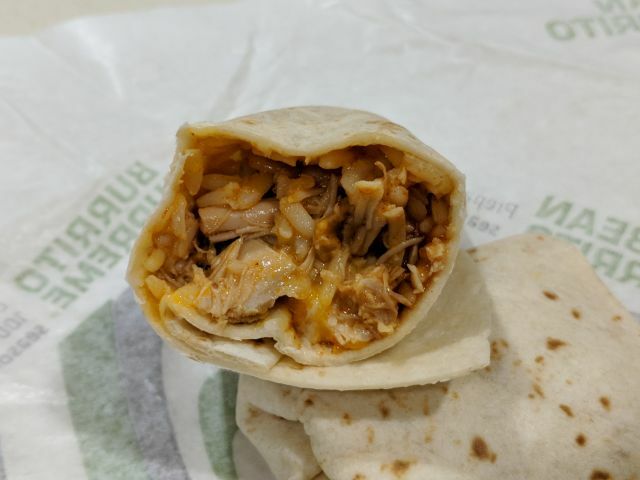 The $1 Chicken Enchilada Grande Burrito features seasoned rice, shredded chicken, red sauce, cheddar cheese, and reduced-fat sour cream wrapped up in a warm flour tortilla, while the $1 Three Cheese Nacho Grande Burrito consists of seasoned beef, nacho cheese, red strips, three-cheese blend and reduced-fat sour cream in a warm flour tortilla. 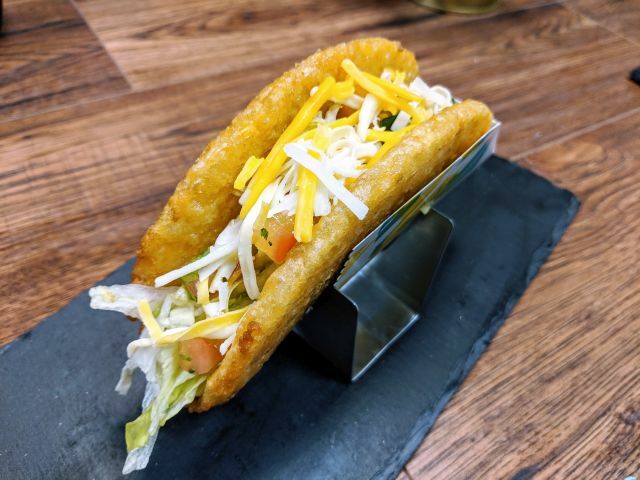 Basically, they're meant to embody the flavor of their namesake dishes while maintaining the convenient form of a portable burrito. Fans of the since-departed (but still available via custom ordering) Smothered Burrito and Enchirito will probably like the Chicken Enchilada Grande Burrito as it offers the same familiar flavor but makes for much neater eating. It's basically an enchilada but with the sauce inside the tortilla. The Three Cheese Nachos Grande Burrito is basically the chip-shaped Grilled Stuft Nacho Taco Bell offered back in 2013 but in a more conventional package. The crunch of the red tortilla strips is pretty fleeting and it ends up tasting like many-a-beef and cheese-based burrito at Taco Bell. 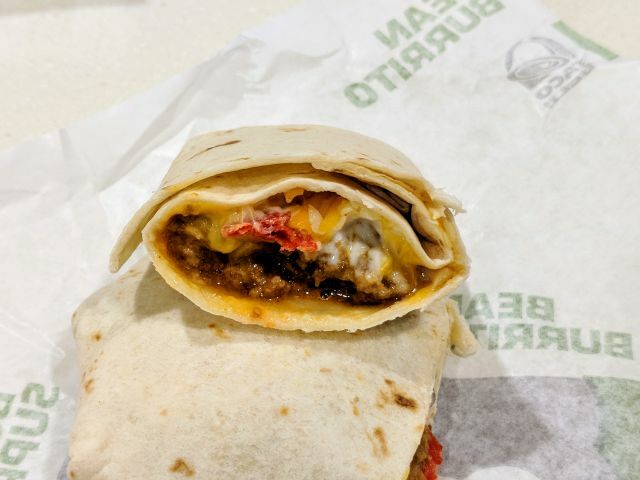 Of the two, I prefer the Chicken Enchilada Grande Burrito as the more novel option since red sauce doesn't appear in many Taco Bell menu items. If you're looking to try something similar, you can just order a Shredded Chicken Burrito and sub out the Avocado Ranch sauce for red sauce and sour cream. It won't be as cheap as a buck though.